Stunning and Bright single-level, 2 bedrooms and 2 baths condo in Kingswood South! Incredible West Hollywood location just below Santa Monica Blvd. This third floor, street facing, ample sized unit has wonderful and abundant East light throughout the day. Formal entry, large living room, office nook, large dining, balcony and wonderful kitchen with service entrance, wall oven, fresh white cabinetry, and under counter side by side washer and dryer hookups. The master bedroom has an incredible walk-in closet and en-suite bath with separate shower and tub. The secondary bedroom has access to the balcony and the second bath, located in the hallway, has double sinks and a tub/shower combination. There are new wide-plank wood laminate floors throughout that add to the beauty of this space. 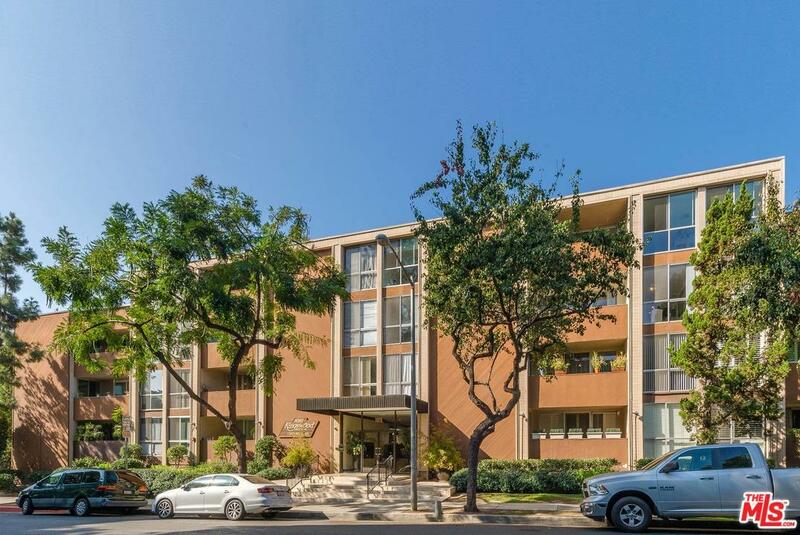 The building offers a gorgeous pool and lobby, and the unit has gated, side by side parking.